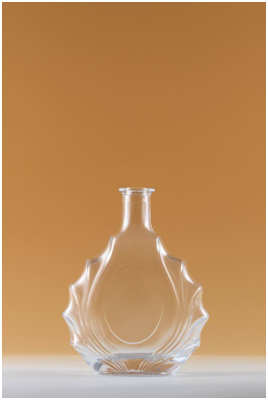 Product categories of Brandy Bottle, we are specialized manufacturers from China, Brandy Bottle, Brandy Glass Bottle suppliers/factory, wholesale high-quality products of Crystal Brandy Bottle R & D and manufacturing, we have the perfect after-sales service and technical support. Look forward to your cooperation! Brandy is a great distilled spirit, it's produced around the world as Cognac, Armagnac, pisco, and eau-de-vie, from grapes or other types of fruit. Brandy was also one of the most popular spirits which is why it dominates lists of the best classic cocktails. Glass is the most neutral and natural of packaging materials, It preserves and presents spirits flavor exactly as intended. When you drink your brandy packaged in glass, you are experiencing the pure taste of drinks, Nothing more, Nothing less. We are devoted our passion to make the great glass bottle to preserve your vantage wine.